Intel Core X-Series Processors – Learn More Here! Intel Core X-Series Processors – Now Available! By now you may have heard – a new generation of Intel processors is on the way. You’ll see these referred to as Basin Falls, X299, Core i9, Skylake-X, or Kaby Lake-X but in short, they’re all different ways of talking about Core X-Series. But what does this mean for your next custom gaming or workstation PC build exactly? Should you wait for these new processors before buying your next PC? We’ll break down everything we know (or at least as much as we can reveal) in the following post. Also, one important thing to note – X299 boards and their corresponding processors will use a new CPU socket, so older gen processors won’t work on new boards and vice versa. A full breakdown of X299’s features and benefits can be found HERE. Central to this launch are Intel’s lineup of new processors. At the entry level are two quad core options codenamed Kaby Lake-X, which use a different microarchitecture over the remaining lineup. Essentially, these options offer similar performance to current Kaby Lake processors, but with the advantages of the X299 chipset. It’s with the 6-core+ options that things get more interesting. Dubbed Skylake-X, this lineup includes 6, 8, 10, 12, 14, 16, and 18 (yes, you read that right) core options, all of which boast Hyperthreading. And to go along with that extra muscle, Intel is using the long awaited Core i9 brand on those skus 10 cores and up. The answer to that question depends on your situation and specific use case. If you’re currently using a 5th or 6th gen processor without any slowdowns or hang ups, it’s likely not worth the investment for you just yet. But, if you’ve been sitting on an older PC and waiting for the right time to pounce, this definitely could be it, especially if your applications take advantages of the almost endless cores/threads of the Skylake-X options. More will be revealed as we get closer to launch which will help you decide, but at the very least, it’s worth paying attention to. 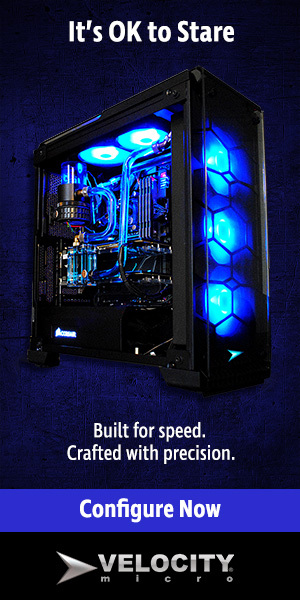 Intel Core X-Series are now available on our Raptor Z95, Raptor Signature Edition, and ProMagix HD80. Get yours!